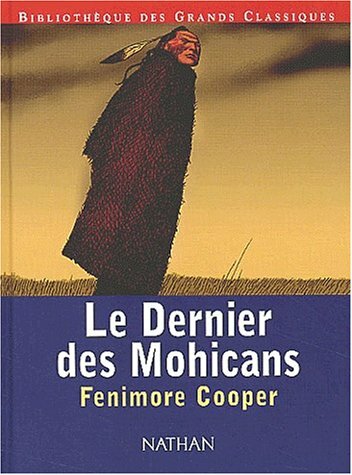 The Last of the Mohicans: A Narrative of 1757 (1826) is a historical novel by James Fenimore Cooper. It is the second book of the Leatherstocking Tales pentalogy and the best known to contemporary audiences. The Pathfinder, published 14 years later in 1840, is its sequel. The Last of the Mohicans is set in 1757, during the French and Indian War (the Seven Years' War), when France and Great Britain battled for control of North America. During this war, both the French and the British used Native American allies, but the French were particularly dependent, as they were outnumbered in the Northeast frontier areas by the more numerous British colonists. The novel is set primarily in the upper New York wilderness, detailing the transport of the two daughters of Colonel Munro, Alice and Cora, to a safe destination at Fort William Henry. Among the caravan guarding the women are the frontiersman Natty Bumppo, Major Duncan Heyward, and the Indians Chingachgook and Uncas, the latter of whom is the novel's title character. These characters are sometimes seen as a microcosm of the budding American society, particularly with regard to their racial composition.The novel has been one of the most popular English-language novels since its publication and is frequently assigned reading in American literature courses. It has been adapted numerous times and in many languages for films, TV movies and cartoons.